A quick look at T v S  EWHC 2521 (Fam), which was decided by the President on the 25th of July last year, but has just appeared on Bailii. It doesn't make very pretty reading, especially for the parents concerned. The case involved a six year old boy and the 'incessant litigation' relating to him between his mother and his father over the previous four and a half years. The President picked up the story in December 2012, when Mr Justice Hedley decided that, contrary to the father's wishes, there should not be a reversal of the existing arrangement that the boy spend the majority of his time with his mother. "...to persuade me, or some other judge, to do that which Mr. Justice Hedley was not prepared to do as recently as 11 December 2012. He supports his application with a litany of complaints about the mother's alleged conduct, many of which are reminiscent in their substance, if in their detail they differ, from complaints which have been ventilated in the past. Fundamentally he attacks the division of time as between the parents and asserts that the proper division of time should be equal as between the mother and the father, referring in this context to proposals which are currently before Parliament." "...the father seeks not merely a fundamental change to the arrangements set out by Mr. Justice Hedley but, moreover, implicitly on the basis that before deciding the way forward the court should investigate the allegations which he currently makes against the mother, which history would strongly suggest will be met, if not in equal measure, at least in measure, by counter-allegations from her." "There is an appalling spectre lying ahead for these parents and, more particularly, their son. There seems to be a complete inability to do anything by agreement. There has been a distressing volume of correspondence between the parties and their solicitors. It is a feature which I am readily able to accept that virtually nothing is achieved by agreement. It does not follow from this that the solution is for the court to embark upon the kind of further investigation that the father is suggesting. 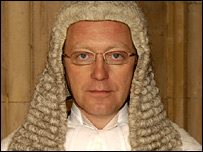 Unless the parents both recognise their responsibilities as parents, take account of the wise words of Mr. Justice Hedley, and adapt their behaviour accordingly, the consequences for the child caught in the middle of what a CAFCASS officer described as a "toxic relationship" hardly bear thinking about." "This is their child, nobody else's, and if they want to inflict that on the child, they answer for it in due course. I suppose, if common sense were to have any part to play in this, one might draw attention to the fact that there is a Brighton-bound platform at Clapham Junction (which is 13, I think) which may even have a small café on it, and that might make an altogether admirable place at which to effect the handover, but if the parties have other ideas and want to hand over on some empty platform or disused siding, that is a matter for them." "The court simply cannot micro-manage this very difficult relationship. If it sought to do so it would simply disempower the parents and add to the stresses on the child. Despite the force and intensity of the father's complaints, he has said nothing in my judgment which, whether looked at individually or collectively, justifies the drastic step, so shortly after Mr. Justice Hedley refused, entirely appropriately as it seems to me, to vary the arrangements, to throw all that back into the melting pot and to embark upon the kind of investigation preparatory to the kind of fundamental change in the arrangements which it is the father's ambition to achieve." In the circumstances, he declined to give the father permission to pursue his application. Indicative of the inability of the parents to agree anything, the judgment then went on to consider a dispute between them regarding dental treatment for the child. Again, the President refused to get involved. Firstly, as explained here, there has been an astonishingly low standard of 'Human Rights Act bashing' by those critics who should really know better. Secondly, contrary to ill-informed opinion, the European Court of Human Rights very rarely rules against the UK. 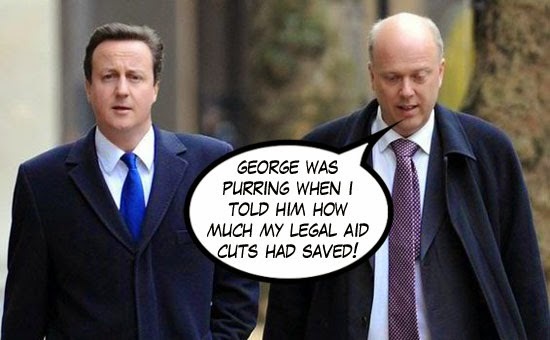 In fact, the court only rules against the UK in 1.35% of cases. 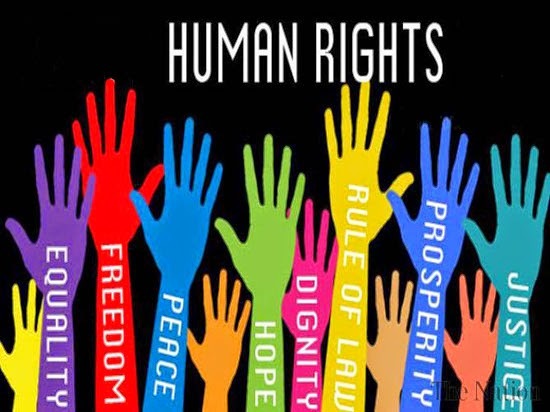 Thirdly, and most importantly, I would urge anyone who is interested in the human rights debate (and particularly anyone who is tempted to support the naysayers) to read this speech by Lord Bingham in 2009, as recommended by @JackofKent. If you are 'anti human rights' then perhaps you would, as Lord Bingham suggests, explain which human rights you would wish to discard. The right to life, perhaps? Or maybe the right not to be tortured? No? How about the right not to be enslaved? 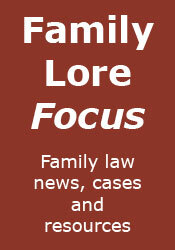 T (Children): A different type of case - A look at the recently-reported case of T (Children). LASPO and litigants in person - Looking in a little more detail at the Bar Council report assessing the impact of LASPO. Important cases: D v D - A look at D v D, one of a series of cases that transformed the way the courts viewed shared residence. New relationships and divorce settlements - In which I consider Mr Justice Mostyn's comments in AB v CB. 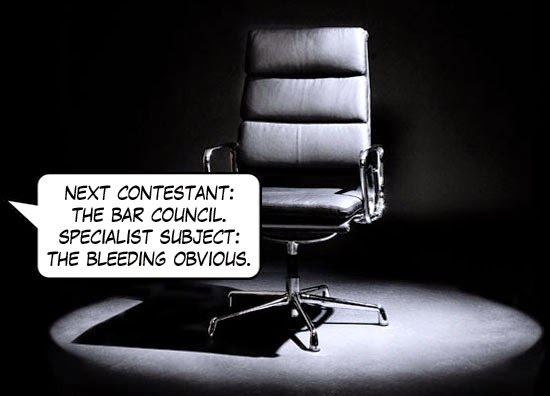 Has mediation turned the corner? - Last week National Family Mediation reported a significant rise in the take-up of its services in the first six months of 2014. Does this mean that mediation is at last going to reach the levels its adherents hope for? Will 50,000 children benefit from the child maintenance reforms? - Looking behind the recent claim by the Department for Work and Pensions. Important cases: Martin-Dye v Martin-Dye - A look at the pensions case Martin-Dye v Martin-Dye. Re M (A Child) and the burden of proof - A look at the recently-reported case Re M (A Child)  EWCA Civ 1580 and the issue of the burden of proof. Have a (moderately) sober weekend. A conference held today (Friday 19 September) will call for co-operation between different actors in legal and judicial proceedings involving unaccompanied and trafficked migrant children. ‘Working together to ensure the protection and reception of unaccompanied children in Europe’ will recommend the development of children’s courts and highlight the need for multi-agency participation. The conference launches a new tool for professionals, including social workers, police, immigration officers and lawyers in the form of a standards report which to help ensure that these children are fully able to participate in legal processes and that the right decisions made about their future. “Migrant children who are without parents or guardians in the UK depend on legal and social care professionals recognising them as children first and foremost. 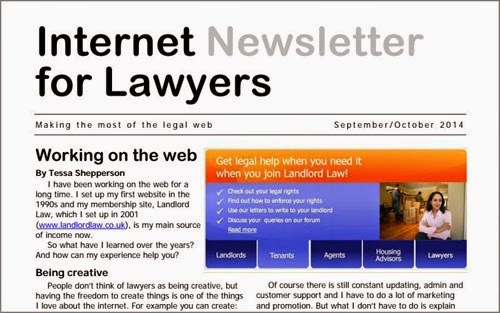 They are subject to a complicated series of legal procedures, courts and tribunals and a lack of communication between lawyers and other professionals can have devastating consequences for their welfare. In addition to the immigration and asylum system, they may be wrongly charged with a criminal offence as a victim of trafficking or have to take legal action in order to dispute an assertion that they are over 18, or be a party to family proceedings because of child protection concerns. As asylum applications from children have fallen (from around 6,000 in 2002 to just over 1,000 in 2014) many asylum seeking children teams have closed. Therefore the children who remain in the system are no longer likely to be assigned a social worker with the necessary specialist skills and knowledge to support them. The conference is organised as part of the EU funded CONNECT Project, looking at practice in the UK, the Netherlands, Italy, and Sweden. The CONNECT project report, ‘Always migrants - sometimes children’, identifies good practice and areas for improvement in the UK. ‘Tool to Assist Actors in Legal and Judicial Proceedings’ aims to improve the support provided within the legal system. Both reports were produced by Nadine Finch of Garden Court Chambers, acting for Coram Children’s Legal Centre. 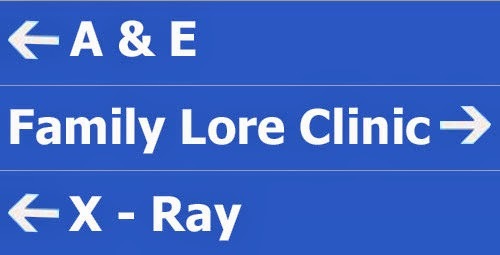 Family Lore Clinic: When can an uncontested divorce be launched in the UK? The first thing to say here is that the law is not the same in all parts of the UK. In particular, Scotland has its own divorce laws. I can only speak for the law in England and Wales. The second thing to say is that no divorce proceedings may be issued before the expiration of the period of one year from the date of the marriage. This is so whether or not the divorce is contested. Which brings me on to my third point. Whether or not a divorce is contested does not, strictly speaking, affect when it can be issued. I suspect, however, that the asker of the question may have been referring to a divorce by consent, after two years' separation. In that case, of course, the divorce petition cannot be issued until the two year period has expired (the two year period can begin during the initial year of the marriage). 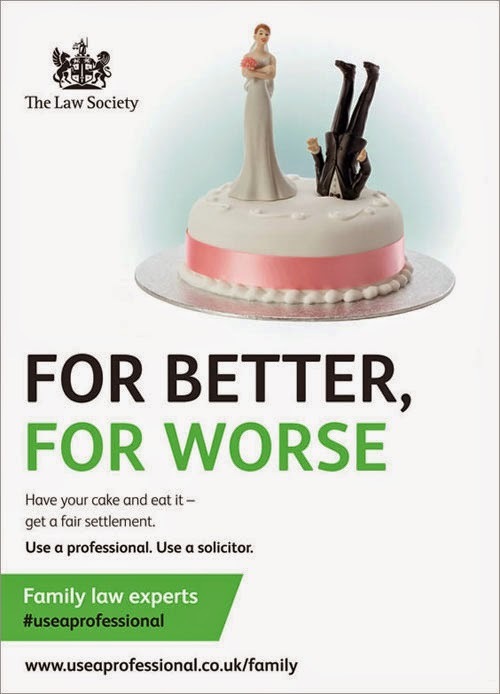 Similarly, if the divorce is to be on the basis that the parties have been separated for at least five years, then the divorce cannot be issued until the expiration of the five year period, and when (very unusually) the divorce is to be on the basis of two years' desertion then it cannot be issued until the expiration of the two year period. Otherwise, if the divorce is to be on the basis of the other party's adultery or unreasonable behaviour, then it can simply be issued at any time after the expiration of the period of one year from the date of the marriage. If you would like any further information or advice about when to issue divorce proceedings, you should consult an expert family lawyer. K (Children): "Suffused with anger and arrogant position taking"
I'm not going to do a full summary of this one - I'm sure others more exalted than me are already sharpening their keyboards with a view to writing something far more learned than I could achieve. 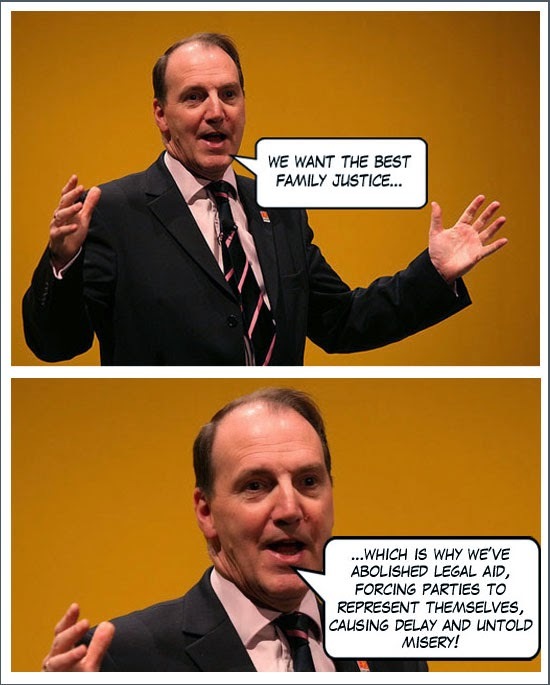 Instead, I just wanted to highlight some of what Lord Justice Ryder had to say about the difficulties involved in dealing with private law children disputes where the parents are more concerned with fighting each other than with the welfare of their children. I would like to think that those who are quick to criticise the family justice system would read Mr Justice Ryder's words before launching another attack on the system, but I hold out little hope of that. The case concerned two boys, now aged 14 and 12. Their parents separated in 2004 and the boys remained with their mother. Their parents have been litigating over them ever since, predominantly regarding the father's contact with them. On the 3rd of June last the Family Court ordered that they be removed from their mother's care, with the older boy placed with foster carers and the younger boy placed with his father. The mother appealed, and the Court of Appeal allowed the appeal in part and set aside the Family Court's orders, Lord Justice Ryder giving the leading judgment. "The decision taken by the judge was an exercise by her of the ultimate protective functions that are available to the family court when it is exercising its private law children jurisdiction. 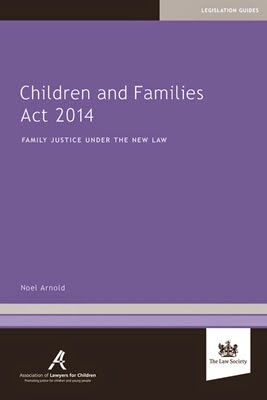 Those functions have rightly been the subject of anxious and rigorous scrutiny in this court but it should not be forgotten that this decision, like others that have to be taken every day in the family court, was made in the context of asserted urgency of the most immediate nature relating to the safety of the boys concerned, poor quality evidence and little or no time to reflect upon the judgment that was to be made. Although, as I shall describe, this court allowed the appeal in part and set aside the orders made, we did so without criticism of anyone." "The judge in this case was not well served by the evidence or the problems created in part by the history of the case and the supposed urgency of the situation. The circumstances that dominated the hearing were not those which were the most important in the case and she was left to make a decision with poor quality material. Although articulate and intelligent, the father was a litigant in person who would have been simply unable without legal assistance to pursue the legal issues that have been pursued before this court. I question whether in the absence of legal representation he is able properly to put forward a sustainable position to the court." "Mother should not and must not continue to believe that she can override the repeated conclusions of the court. It is, as the court has repeatedly said, desirable that the boys should have a close parental relationship with their father. The mother's approach has contributed to the damage that has been caused to the boys' emotional welfare. This cannot continue. The father must understand that the court cannot achieve the impossible. He has been responsible for at least some of the conflict that exists and the boys have suffered because of that." "The problem in this case is the maintenance of a meaningful relationship between the boys and their father. As is too frequently the case, the problem was caused by the parents of the children who are locked into a damaging, deteriorating spiral of conflict which desperately needs to be resolved. Without that resolution, whatever the court orders and no matter what steps are taken to enforce the court's orders, harm will continue to be caused to the children. Cases of this kind are unhelpfully and generically referred to as 'implacable hostility' cases because of the parental conflict that exists. The label provides no insight into or assistance with the myriad of circumstances and features that such cases present." "In this case, the parents were both to have a meaningful relationship with their sons. That should have involved active practical and emotional steps to be taken by both parents to make it work. Instead the case is suffused with anger and arrogant position taking that has nothing to do with the children. There has undoubtedly been mutual denigration, true allegations, false allegations, irrelevant allegations, insults, wrongly perceived insults and the manipulation of the boys to an outrageous degree. The idea that the court can wave a magic wand and cure all of those ills is dangerously wrong. It cannot - its function is to make a decision. It does not have available to it a supply of experts, be they psychiatrists, psychologists, therapists, counsellors, drug, alcohol and domestic violence rehabilitation units, social and welfare professionals or even lawyers who can be 'allocated' to families. Experts that the court relies upon are either forensic experts i.e. they are specifically instructed to advise upon the evidence in a case or they are experts who are fortuitously already involved with the family through one agency or another. Their role in proceedings is to advise the court. There is no budget to employ them or anyone else to implement the court's decision save in the most limited circumstances through the local authority, Cafcass or voluntary agencies."